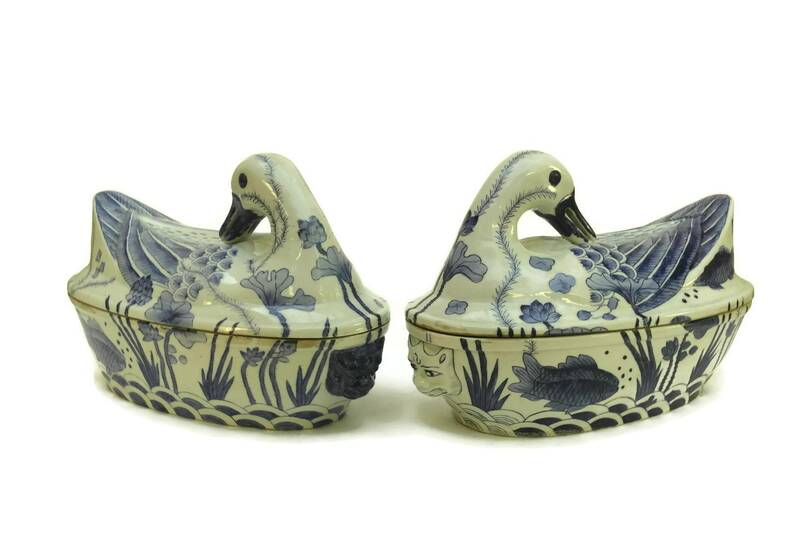 A magnificent pair of antique Chinese export porcelain duck tureens. 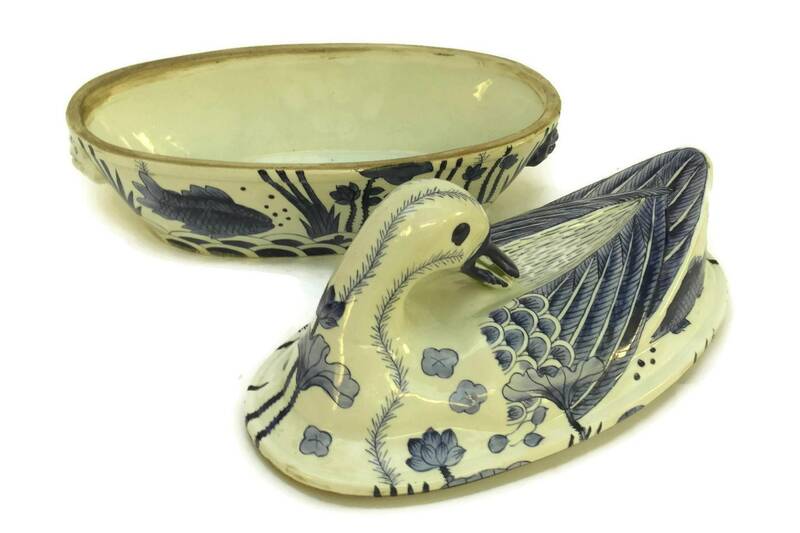 The matching pair of large blue and white tureens have been created from glazed porcelain and feature beautiful hand painted designs with carp, lotus flowers, seaweed and bubble motifs. 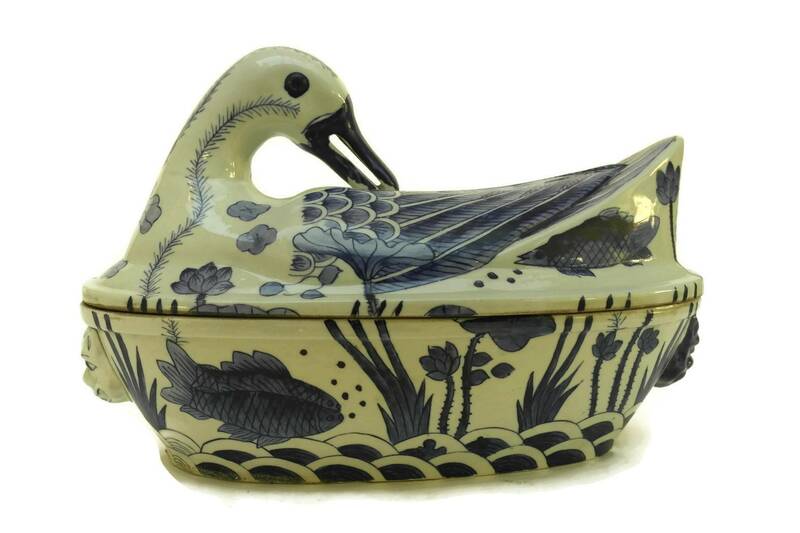 The lids have elegant duck heads that look towards the back and have open beaks. 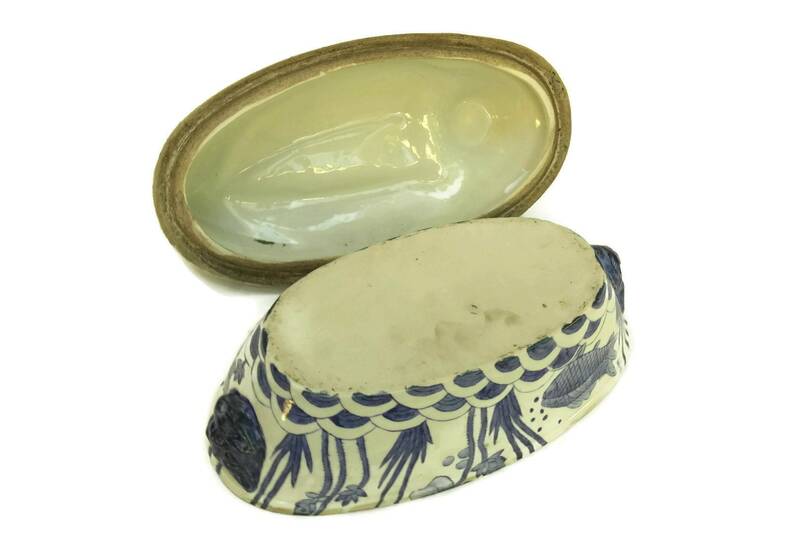 The front and back of the dishes feature traditional antique Chinese lion faces. 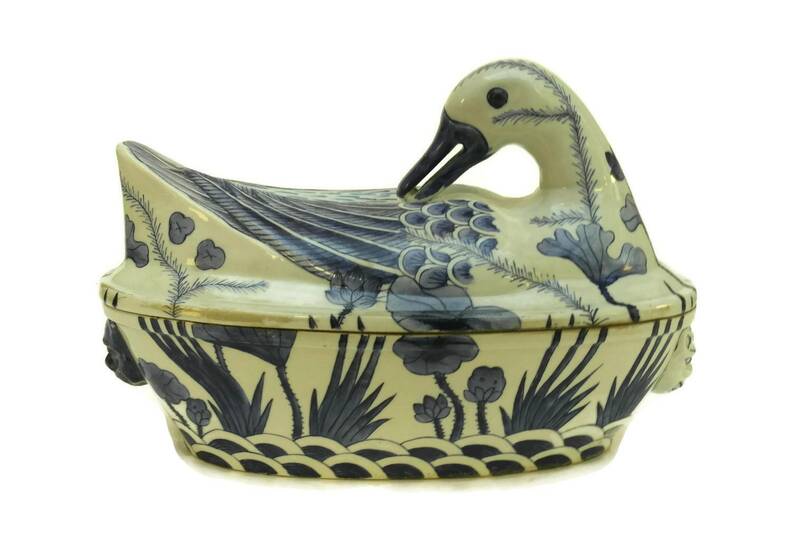 14" Long x 9" High x 8" Wide (35 cm x 23 cm x 20 cm). 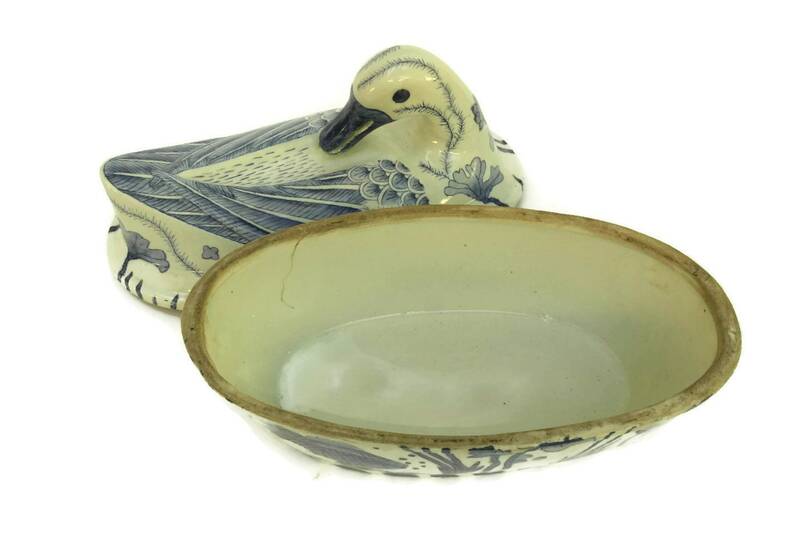 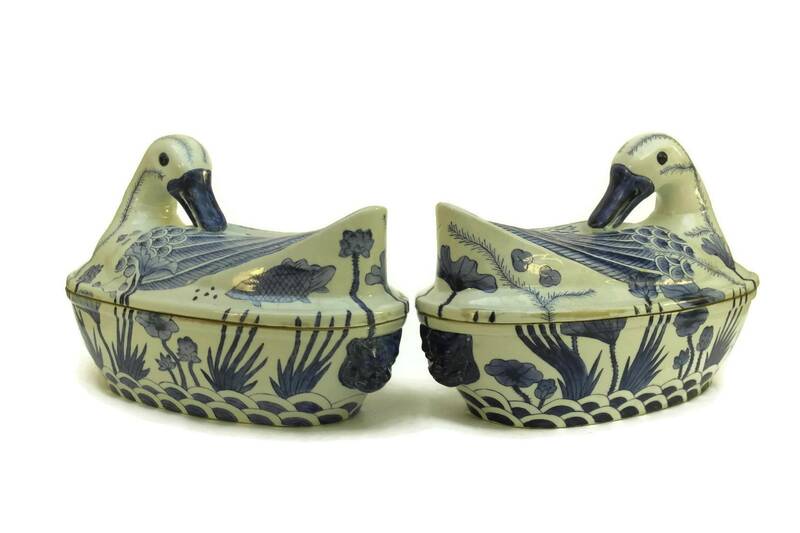 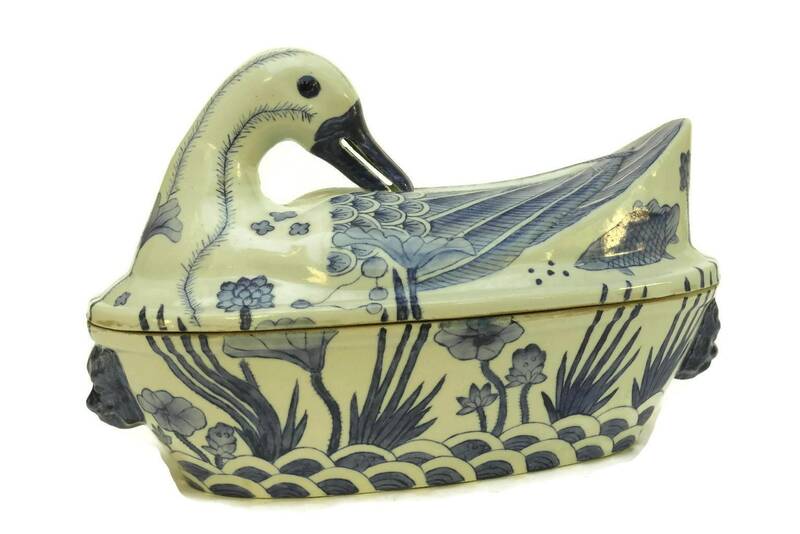 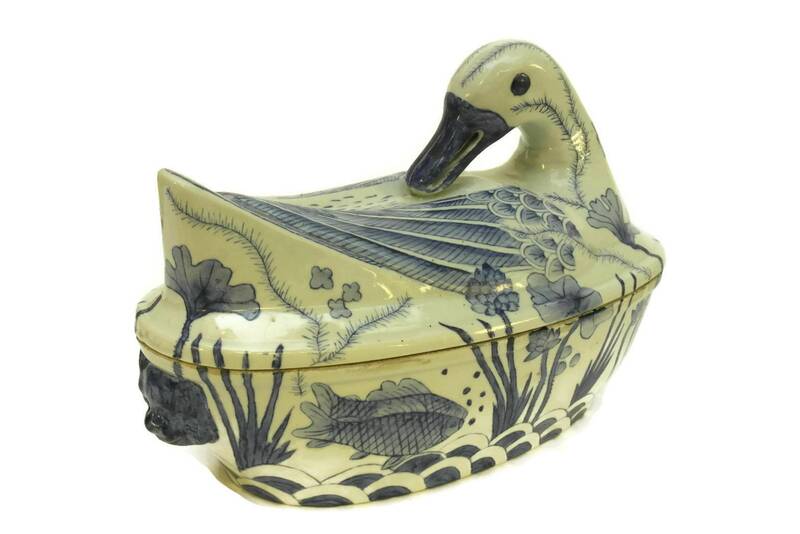 The pair of blue and white Chinese duck tureen are in excellent condition with no chips, cracks or restoration. 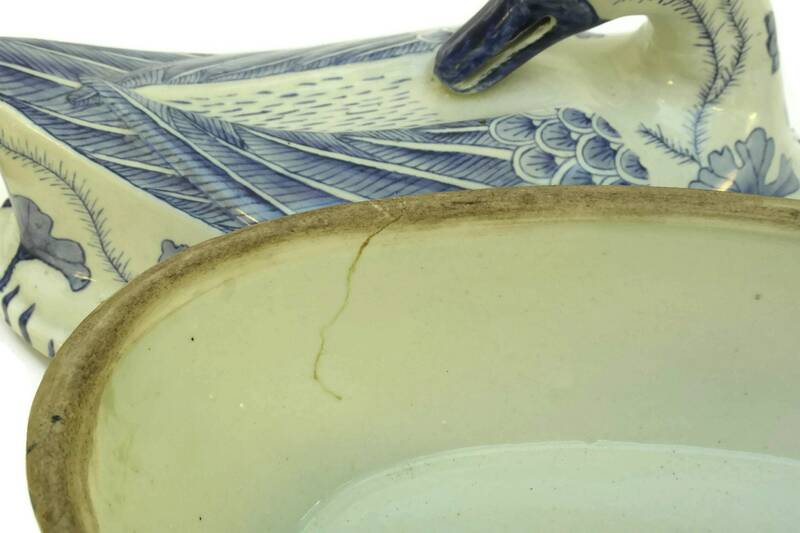 The interior of one dish has a thin firing imperfection, this is not a crack.